Photo courtesy of zimbio.com. 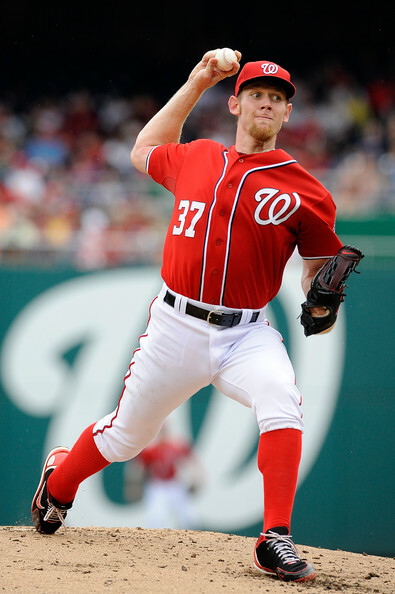 Stephen Strasburg (pictured above) looked pretty sharp on Sunday against St. Louis. Sadly, his season will end on September 12th due to an innings limit placed on him by Washington Nationals GM Mike Rizzo. “Operation Shutdown Strasburg” is an utter embarrassment. Many MLB players go through an entire career and never make the playoffs once, much less contend for a playoff spot. The Washington Nationals have failed to post a record better than .500 since making the move to the nation’s capital in 2005 (until yesterday). There is only one way to describe Nationals GM Mike Rizzo’s September 12th expiration date on the Nationals star pitcher: A simple ego struggle. Photo courtesy of zimbio.com. 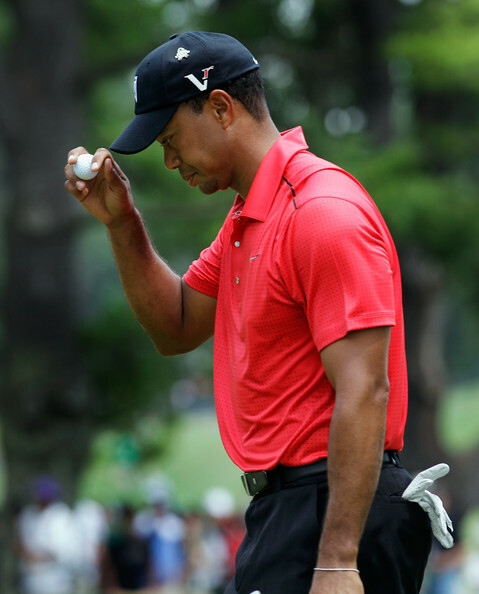 Tiger Woods (pictured above) leapfrogged Jack Nicklaus with PGA Tour win number 74 yesterday. Spain took their place among the elite teams in soccer history this weekend after taking home a third consecutive major title. Wimbledon has had a March Madness type of feel with Venus Williams exiting in Round 1 and Rafael Nadal going down in Round 2. Brad Keselowski was the king of the Kentucky Speedway. And the “Dwight Howard Soap Opera” has opened up Season 2. Last week was a great one, but this week will be jam-packed in its own right. Here are the events to keep an eye on. 5. Kentucky Speedway got it right this year. Brad Keselowski was a happy man on Saturday night as he moved into 10th in the Sprint Cup Standings. Now the NASCAAR crew heads to Daytona to see who can take home the NASCAR Sprint Cup Series at Daytona. David Ragan came out victorious last year at this event, while the current leader of the Spring Cup Standings, Matt Kenseth, finished second. Photo courtesy of zimbio.com. If I were running the show in Minnesota, I would take Justin Blackmon (pictured above) at number three on Thursday. Number three is for me. The NFL Draft is just about here (finally). After all of the analysis, sports science, and insane amounts of minutia, Thursday night, it all goes down. 253 players will learn much more about their future over the course of the three day extravaganza when their name is called. We have a semblance of idea how the first fifteen minutes will play out. Followed by a huge smile and a very mild-mannered interview with Andrew Luck. RGIII will be all smiles and of course we will get to see his goofy socks during the interview. The ball is in Minnesota’s court. They have been on the clock for months in essence. Everyone has known for well over two months now that Luck and Griffin would be the top two picks. But who will go at number three? Many have proclaimed Matt Kalil, from USC, as the guy. Others are saying Morris Claiborne from LSU. 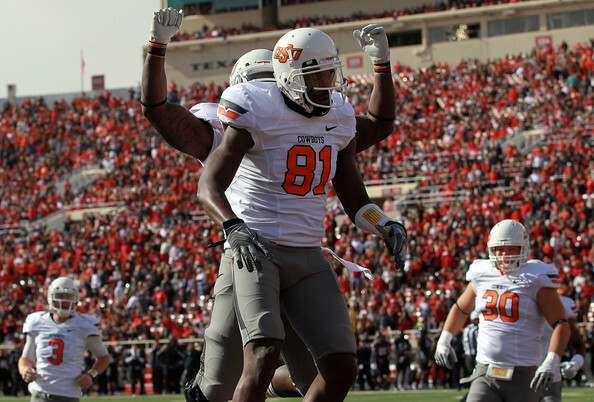 Some are even saying Justin Blackmon, the young clone of TO, out of Oklahoma State.